Sheets measure 8x12 inches (20x30cm) each. An assortment of basic primary colors. 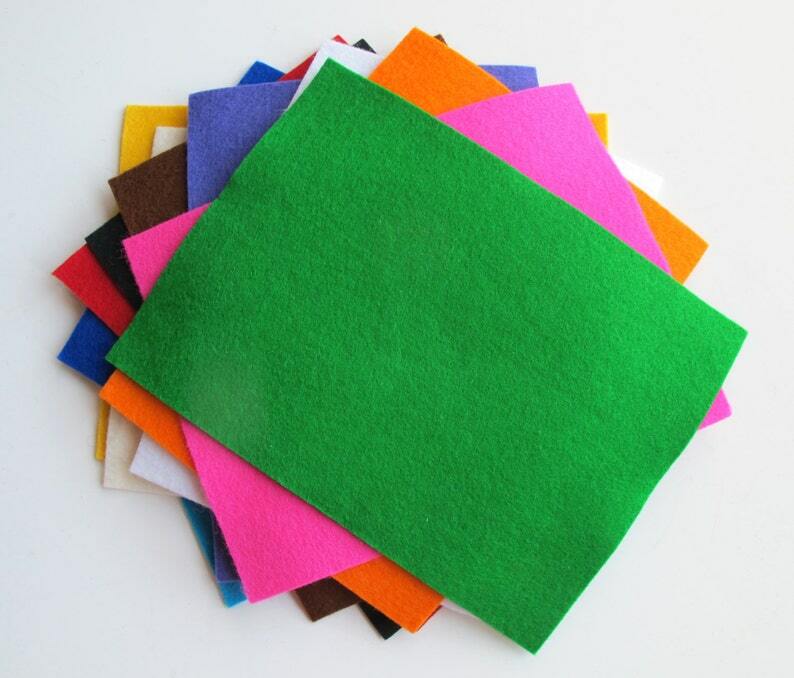 A perfect bundle of soft, beautiful, pure wool felt for your holiday crafting, or a perfect gift for anyone who loves to work with quality wool felt. Very nice wool. It's very soft.